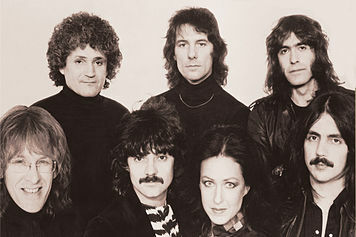 Logins and Messina, Seals and Croft, and Jefferson Starship were three of Joe's favorite music groups. His favorite song, Miracles, was written by Marty Balin and sung by Jefferson Starship. Joe was fortunate enough to see Jefferson Starship perform live at the Greek Theater in Berkeley. He invited Bonnie Miller, Coach Mike White's secretary, to go with him to the concert. Instead of buying tickets, the two concert goers thought it would be more fun and cheaper to climb the hill overlooking the venue and enjoy the show. Ironically, Joe's concert experience was very similar to the ritual many Cal fans take part in when they trek up Tightwad Hill to watch Cal football games in Memorial Stadium for free. Listen to a 30 second clip of the song Miracles here.